Praise the good Lord almighty. As the older members of The Storyteller Club will remember, "Sepet" won the Best Asian Film award at the 18th Tokyo International Film Festival. This year, that section just cast its net wider to include the Middle-East, making it even tougher than before. I just received two emails from two very good friends, simultaneously. One from Stefan Shih of MovieXclusive Singapore, and another one from brilliant Japanese filmmaker Yoichiro Takahashi, both very excitedly informing me that our film "Muallaf" had just been given a Special Mention Best Asian-Middle Eastern Film award. The first prize went to a film from Turkey called "My Marlon and Brando". What can I say? I'm just so grateful, and so crazy happy about this, that I could cry. Sorry for the sudden email. 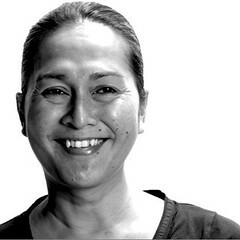 This is Sawaka Kawashima, Pamela's friend who visited Ipoh during the filming of 'Talentime'. I had wanted to express my gratitude for letting us watch the shooting of your movie and was thinking about leaving a comment on your blog. Then I came across your email and thought I should email you instead. Thank you so much for letting us be on the set when you must have been busy. Hope it was not a bother. And it was great meeting you even though brief. It was really inspiring and I was quite impressed and learned a lot. It was such a creative but at the same time warm environment. I cannot wait for the movie to come out! By the way, congratulations for the movie Muallaf! 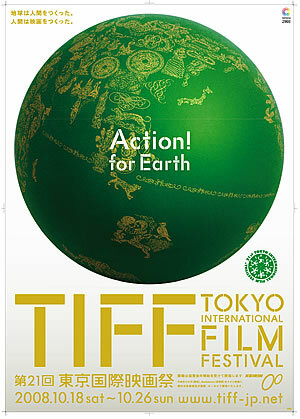 I saw it in the Tokyo Film Festival last week. The theater was full and it was actually very had to get tickets for. It was amazing! It really was inspirational, and at the same time, funny. The difficult subject of religion was so ingeniously touched that I was very impressed. As one of your friends wrote on your blog, there was a big round of applause when the film ended. I laughed at the bra scene, the puppy scene and there was even some laugher when the sisters were trying to spook the principal telling that the house is haunted and a cat comes out. The scene where Ani's hair is shaved was a great shock, but I could really relate to her and the interaction she had with her father. I myself am a pseudo Catholic, but watching the movie made me want to read the Koran. It is quite amazing, there are many similarities between these religions when somehow these are considered to be very different. Thank you so much for the movie! I have to say it really was one of the most inspiring movies I have watched recently. Also, congratulations for 'Wasurenagusa'! I must say I love the title. I am so happy that you are doing a Malaysian-Japanese collaboration movie. I have to say honestly that before I met Pam and Vanessa in the race, I did not really know much about South East Asia. But after I was introduced to the whole new world, I was quite surprised how all other countries in South East Asia interact with each other, and in a way, Japan is on its own, without reaching out to the other countries. And sadly, I think people in Japan do not know much about the other Asian countries, except now maybe Korea, and some China. I hope this movie becomes a bridge between the two countries. If there is anything I can do to help for this, please let me know. It would be amazing if I could help in such great project. Sorry for the long email. Thank you for reading it. Towards the end of the recent holy month of Ramadan, just three days before Hari Raya, my crew and I headed for Ipoh, to shoot the commercial you see here. We had to wake up for sahur at five every morning, and then go off to our location at the Advance Aeronautics pilot training school, to start shooting early. It was hot and humid, but most of the Muslims among us pushed on with the fasting, partly because it was a good challenge to our spirit, and also because we were hoping for God's blessings on our shoot. We liked what the story stood for, and felt the message was meaningful for the trying times ahead, so that helped us keep good cheer while working without food or drink. The result of it is this simple film which moves me every time I see it, and, I hope, moves you too. Happy viewing, and to our Hindu brothers and sisters, have a joyful and peaceful Deepavali. What the Singaporeans will see. A friend told me recently that one local paper attacked me for always showing my films in Singapore before Malaysia. I didn't read the article, but apparently they accused me of being disloyal, or words to that effect. Truth beknown, the reason for this is that the Singaporeans are just quicker on the uptake than we are. For example, while Malaysia was only interested in "Rabun" for a slot on TV, the Singaporeans lapped it up for the Singapore International Film Festival. From there, it travelled to international film festivals in Italy, France, Greece, Taiwan and Japan. While the Malaysian censorship board was busy threatening to ban "Sepet", the Singaporeans picked it up for theatrical release, without cuts, and played it for six weeks! From there, "Sepet" went on to win the Grand Prix du Jury in Paris, and the Best Asian Film Award at the Tokyo International Film Festival. Worse still, "Sepet" finally did play in Malaysia, but my poor beloved compatriots had to put up with EIGHT cuts, imposed upon it by the wise old men of our censorship board. But you know what? Allah knows best. One huge advantage of showing your films in Singapore first is that you lower the risk of piracy. The Singaporeans just don't pirate. It's as simple as that. If you release your films in Malaysia first, it will quickly be copied and the pirated dvd's will be smuggled into Singapore. By then, it would be pointless to put it out into Singaporean cinema theatres. So here it is. A poster the Singaporeans will see, for a film the Singaporeans will watch, with no cuts. Alhamdulillah. I'm not disloyal, my dear fellow Malaysians. I'm just a victim of circumstance. The holy month of Ramadhan can change you. During the last one, I was asked by Evangeliss Yh-Hwong to pose for some portraits, as part of a series featuring everyone involved in the making of our "Here In My Home" music video. Ordinarily, I would take great pains to apply make-up for such photo sessions. A little translucent foundation, dusting powder, pink blusher, mascarra, and light lipstick. Nothing heavy, but light stuff that make you look slightly better but in as natural a way as possible. The thing is, I had never gone for a photo shoot during Ramadhan before. In that month, I choose to go about my work sans make-up, as it's easier to perform my 'solat' (Muslim prayers) without having to go through the tedious ritual of make-up removal. While I'm on the run, whenever I hear the call for prayers somewhere, I can just pop into any nearby mosque to worship the One who provides me with all I have, including each breath that fills my lungs. So this is how I look mostly these days. Thanks to that one photo shoot, I am now in the habit of going around bare-faced, even though Ramadhan is over. And it's so liberating! Now you can choose to love me (or not, as the case may be), warts, freckles and all. The sudden, unexpected, and unplanned blossoming of one "Forget-Me-Not". In the autumn of 2006, Sharifah Amani and I were invited to attend a festival called "Paris Cinema". They were screening a retrospective of my films, and therefore offered to sponsor our flight and accommodation so we could attend the Q&A sessions. One evening over dinner, Ono-san suggested that he and I should embark upon a Malaysian-Japanese co-production. Now, film producers often say such things to you at film festivals, but nothing usually comes out of it. It is just a form of nicety that filmmakers exchange with each other when they meet in faraway lands. Producer: "Oh, I loved your films! We should work together someday." Director: "Ah, thank you for attending the screening. Yes, let's keep in touch." Muah, muah! A few weeks after Paris-Cinema, I was home again, busily preparing for some TV commercial shoot, when I opened my gmail and came across a letter from Ono-san. But in the course of the months to come, dear Ono-san had hired a Malay-speaking co-producer, Yusuke, to keep urging me to take on the project. 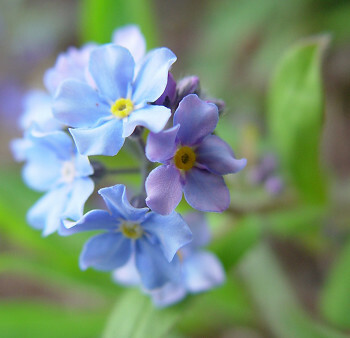 So much so, I eventually yielded and wrote a synopsis called "Wasurenagusa" (the Japanese name for the forget-me-not flowers which you see here.) It was to be the story of Inom, a young Malay girl whose ailing grandmother is Japanese, and how she finds her way to Japan, to learn more about her roots. In the middle of shooting "Talentime", I received an email from the Pusan International Film Festival. 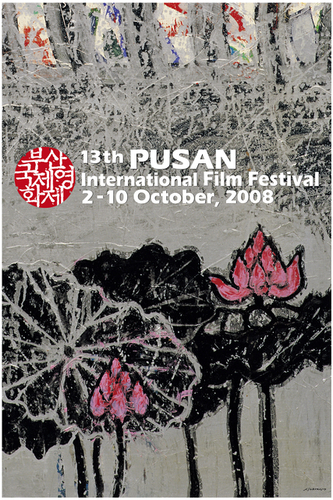 30 film ideas had been shortlisted from almost 300 submissions to Pusan. Among the shortlist was my "Forget-Me-Not", and the email conveyed the festival's offer to pay for my flight and accommodation to attend the pitch. Out of the 30 shortlisted, only 6 would receive prizes. The 1st prize was called The Pusan Award. My mind reeled from the thought that someone actually took pains to collate the bits and pieces of ideas that I had for "Wasurenagusa" and submitted it to Asia's biggest film festival! Next thing I knew, I was sitting at a table in a hall at Paradise Hotel in Pusan. Ono-san and Kiki-san were with me. At the other 29 tables were some highly-respected filmmakers from around Asia and the Middle-East. Even Lee Chang-Dong, the genius who made "The Secret Sunshine", was in competition. Film investors from all over the world would take turns to visit your table, tell you about their organisation, and then they sit back and listen to your story and ideas. That's it. One day before the announcement of the results, I flew back to KL. This was last Sunday. "No point in staying," I thought, "I have to get back to work tomorrow. And besides, we're NEVER gonna win this." Malaysian/Japanese co-production film project wins the top award in Pusan, Korea. 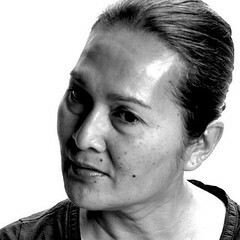 "Malaysian director Yasmin Ahmad's 'Forget-Me-Not', which is being produced by Japan's Wa Entertainment, picked up the $20,000 Pusan Award at the closing of the Pusan Promotion Plan (PPP) on Monday night. The project tells the story of a Malay girl who goes to visit her relatives in Japan after her Japanese grandmother dies. The cash award is granted every year by Busan Metropolitan City. 'Poetry', which is being directed by Korea's Lee Chang-dong (Secret Sunshine) was awarded the $20,000 Kodak award for a Korean project. Fine Cut is handling international sales of the project, about a woman in her mid-sixties living in poverty who endeavors to compose a poem for the first time in her life. The $10,000 Busan Film Commission (BFC) Award went to Chinese director Zhang Yuan's Executioner Garden, a grisly tale set in a Shanghai prison, to be produced by Beijing Jingle Culture Development Co.
Korean-French co-production A Brand New Life, to be directed by Ounie Lecomte, picked up the $10,000 OKF Fund award, which is presented by the Overseas Korean Foundation to a project from an overseas Korean. The Goteborg Film Festival Fund gave its award, designed to support the selected filmmaker's travelling and accommodation costs, to Iranian director Mona Zandi's The Bride. The Wooridul Award, newly launched this year for Korean projects, went to Jung Bum-shik's Eugenia. This year, the PPP scaled back on the number of projects to a more manageable 30 compared to 35 last year. Around 500 meetings were held during market's four days (Oct 3-6)." - Liz Shackleton, Screen Daily.